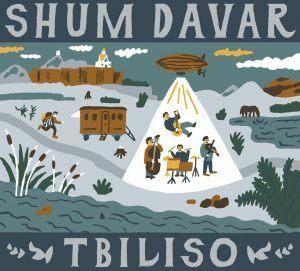 Shum Davar – we are a Prague band founded in 2013, uniting musicians from Belarus, Georgia, Slovakia and the Czech Republic. 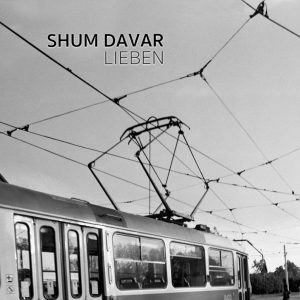 Each member of Shum Davar brings a different talent to the band, having collaborated on various projects of different influences, such as classical music, jazz or folklore. We perform in two formations, with either Aliaksandr Yasinski or Gugar Manukyan on accordion. We have one single Shum Davarian spirit, but we carry it in two different etuis! Our style is defined by a melange of Klezmer, Gypsy, Balkan, Slovakian, Georgian, Armenian and Belorussian traditional music. These melodies live on despite numerous ups and downs through centuries, and now they are making their comeback in the very heart of Europe. We try to touch every audience with positive energy, joy but also melancholy. Our musical language is relatable to all humans around the world, and we love participating in multicultural projects. Shum davar, “שום דבר“ [:shoom d’var:] is a Hebrew expression meaning “nothing“, “none” or “anything“ in negative. Besides that, in Russian “шум да вар“ [:shoom d’var:] means “rustle AND boil“, “rustle BUT boil” or “rustle YES boil”. We leave it upon the listener to judge whether Shum Davar inclines more to the first or to one of he latter definitions! Currently the band has enriched the repertoir in cooperation with singer Iva Marešová (ivamaresova.cz). Check the Facebook page and stay updated!